Silicone-free conditioner that prevents brassy hair. color lustre cool shades reviving hair balm is rated 5.0 out of 5 by 8. Auto-Replenish for free shipping + 4 samples ? A silicone-free shade reviving hair gloss for blonde or silver toned hair that refreshes cool highlights, preventing unwanted yellow tones and fading between salon visits. Deeply nourishes to add vibrancy and adds a subtle deposit of color to without creating any chemical reaction or modification to permanent color. after using shampoo & conditioner, apply to towel-dried hair. The Musk Rose Tree originated in Asia in the 16th century. Extracted from the seeds of the Musk Rose Tree for its inherent healing properties the oil is rich in fatty acids that deeply nourish the hair fiber and protect the hair from coloring. Aqua / Water● Cetearyl Alcohol● Behentrimonium Chloride● Hydroxypropyl Starch Phosphate● Propylene Glycol● Candelilla Cera / Candelilla Wax● Cocamidopropyl Betaine● Sclerotium Gum● Isopropyl Alcohol● Phenoxyethanol● Ci 60730 / Ext. Violet 2● Sodium Chloride● Poly(Linseed Oil)● Rosa Canina Fruit Oil● Chlorhexidine Digluconate● Ethanolamine● Citric Acid● Parfum / Fragrance. Our silicone-free shade reviving hair gloss for blonde or silver toned hair that refreshes cool highlights, preventing unwanted yellow tones and fading between salon visits. Deeply nourishes to add vibrancy and adds a subtle deposit of color to without creating any chemical reaction or modification to permanent color. 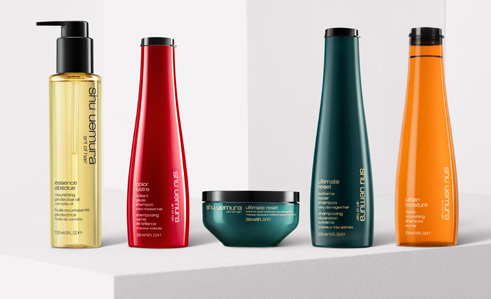 Restore the vibrancy of blonde hair and hold on to that just-colored feeling. Rated 5 out of 5 by SuzieQ from The Holy Grail Nothing compares to this wonder. I have tried many purple shampoo, conditioner and glazes to get rid of the brassiness - this is the only item I will purchase (and have to hide from my daughter). I have thin, highlighted hair that gets brassy very quickly and this completely lifts my color to a beautiful tone. I will never bother getting anything else. Rated 5 out of 5 by stacy from Fantastic Cool Toned Hair Balm After ONE use this product toned down my orange, dry as a bone brunette locks, and infused my hair with plenty of shine and softness. I couldn't be happier with the results. My only wish is they made one for cool toned brunettes, but considering this is tailor made for platinum blondes, I couldn't be happier. Rated 5 out of 5 by Ramira from Great for platinum blondes! I bought this as a one off to start with but having it on my hair totally changed my opinion! My brassy ish locks were completely turned to gorgeous cool blonde which made me very happy indeed and I buy it a lot!